Our GraphQL API is awesome. Try it free with no sign-up. 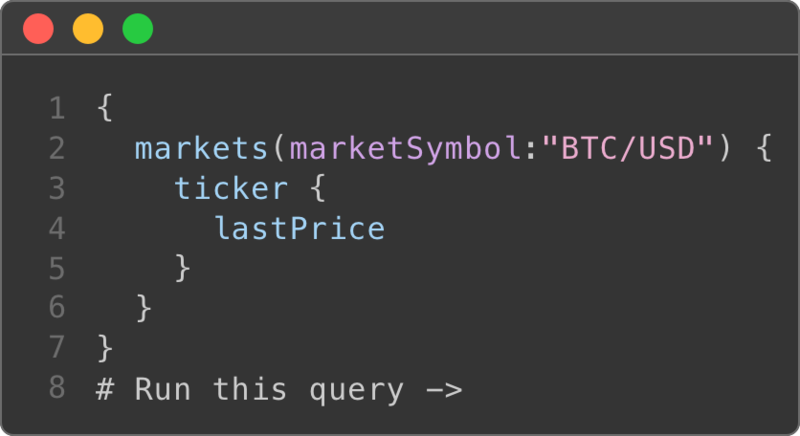 Blocktap created the industry's most powerful query language for digital assets using GraphQL. Our API enables viewing data across exchanges, markets, assets, and peer-to-peer networks from a single query. Blocktap delivers data tailored to your needs unlike any other API. Blocktap has open-high-low-close-volume (OHLCV) candles for thousands of markets across time periods as small as 1 minute. We calculate candles directly from raw trade data and use a multi-step process to ensure our candles are of the highest accuracy. Blocktap collects market snapshots for price and volume movements over the past 24-hours. Our tickers are processed from our raw data feeds and have milliseconds of latency. Blocktap trade feed relies on a redundent multi-stage process to ensure trades are always collected. Recent trades across markets in different exchanges are easily queryable. Blocktap maintains the order book for all active markets. You can easily retrieve the order book for a market across exchanges or compare orderbooks for different assets. Blocktap time series returns statistics aggregated into time buckets. It supports market price statistics as well as statistics on peer-to-peer networks. Blocktap collects information from P2P networks such as Bitcoin and Litecoin. We analyze network and on-chain data to build statistics available in time series. You can also directly access normalized P2P data. Blocktap can integrate with third-party APIs and make their data available to query alongside other Blocktap data sets. This powerful feature allows users to perform advanced coorelative analysis across multiple data sets. We've built an institutional grade data collection and processing system. Accuracy and availablility are crucial to handling financial data. Our system is multi-way redundant to ensure feed interuptions, network outages, or hardware failures never impact our ability to collect data or deliver it to users. Making sense of the data is a large task. We start by normalizing data across data sources. We then pass data through our flexible processing system to aggregate and analyze it into meaningful statistics. Our system enables us to add new data sets easily. When combined with our dynamic query language we can deliver vast amounts of data in an unparalleld way.